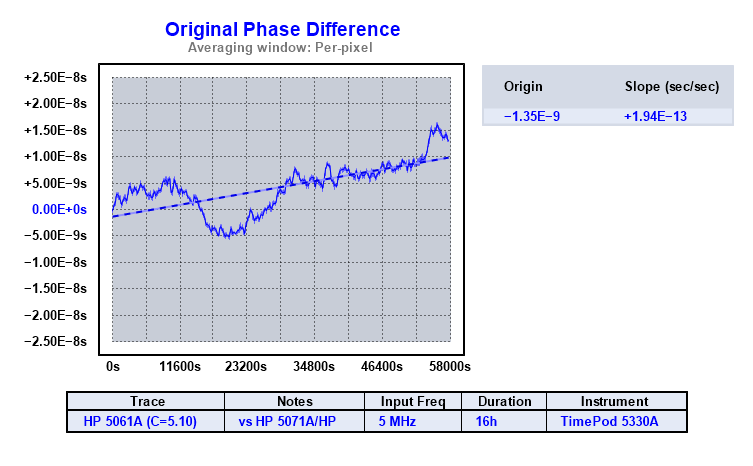 I compared my old HP 5061A cesium standard against a much newer HP 5071A with high performance tube. 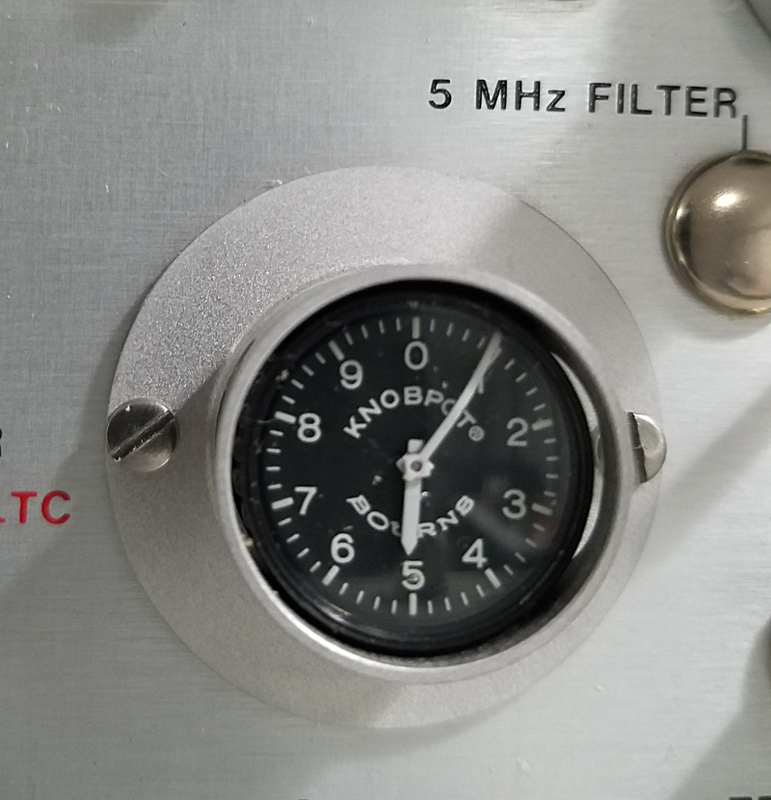 Cesium standards are tweaked by adjust an electromagnet in the tube; this adjustment is called the “C Field.” In the 5061A you need to set the C Field manually, but the 5071A does it automatically. With the high performance tube, the 5071A’s absolute accuracy is +/- 5×10. I was able to adjust the 5061A C field to bring it within 1×10-12 of the 5071A. Given the noise floor of the 5061A, that’s about as close as it’s worthwhile to get.